In my mind, the only thing that makes traditional haggis taste good is a whisky sauce. And for my whisky sauce I use a single malt whisky. Dave and I did a malt whisky tasting when we were in Scotland that was extremely informative and educational. At some stage I want to take this further but for now I am just appreciating our growing collection of single malts. If you want to do a whisky tasting at home, the first thing you will need is a Glencairn whisky glass. If you don’t have any of these glasses then use champagne flutes. Pour a wee dram into your glass and give it a swirl. This releases the smell, so now take a sniff. Don’t put the glass to your nose, rather keep it at chest height and tilt your head down. Now move on to tasting the whisky neat. Before you take a sip breathe in through your nose, then take a sip, roll it around you mouth, wait a few seconds and then swallow and only then breathe out through your nose. Add a drop or two of water to your whisky and repeat the process. 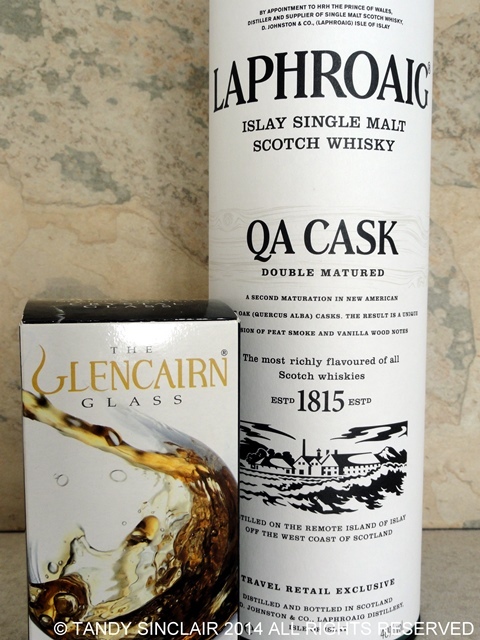 You should now have a good idea of the taste and smell of your whisky. You may notice hints of vanilla, pear, apple or even straw. Some whisky’s are smoky and others have an oily feel to them. You can use these flavours and smells to decide which whisky to use in your sauce. I prefer the Talisker 10 year old as it has a hint of black pepper which compliments the haggis perfectly. Blog-checking lines: This month, the Daring Cooks got a little saucy! Jenni from the Gingered Whisk taught us the basics of how to make the five mother-sauces and encouraged us to get creative with them, creating a wide variety of delicious, fresh sauces in our very own kitchens. Although, I will say, good to see top ingredients being used. It saddens me greatly to see people use less than ingredients and wonder why it doesn’t taste tops. Oooh I’ve not tried this before, sounds good! This kind of a whiskey sauce, intended to accompany a savory food, and made with vegetable stock is entirely new to me. Thank you for the enlightenment! The whiskey sauce looks delicious and so easy, I must give this a try…thanks for the recipe Tandy! Wow, I sound way too happy 😛 – This sauce looks lovely too, I would love to try it, great colour! That’s interesting about whisky tasting and I’m sure that whisky sauce would make anything taste great! I’ve never had haggis and want to change that! Especially if it’s in whisky sauce! 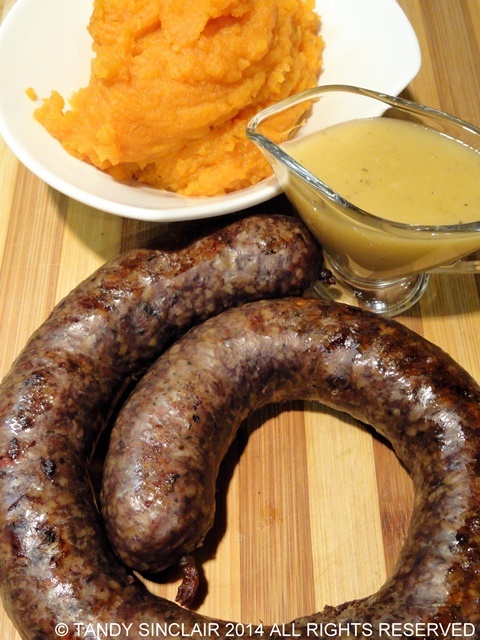 So you served your whiskey sauce with some snags, sounds delicious. I don’t think I have ever had whisky sauce. Mmm … very nice! I have to admit I’m not a great fan of haggis, but the whiskey sauce does indeed sound tasty! I’ve only had a sampling of anything like whisky sauce at a restaurant, I confess, I have never tried such a thing at home. It was very strong and I’m a super picker eater, but overall, I liked it. New sauces just make a dish! Thanks for sharing. I can’t do whisky, my whole body curls and folds as the liquid touches my lips. Oh, that would sadden my heart!